❝ Sometimes it is good to rip off the band-aid. 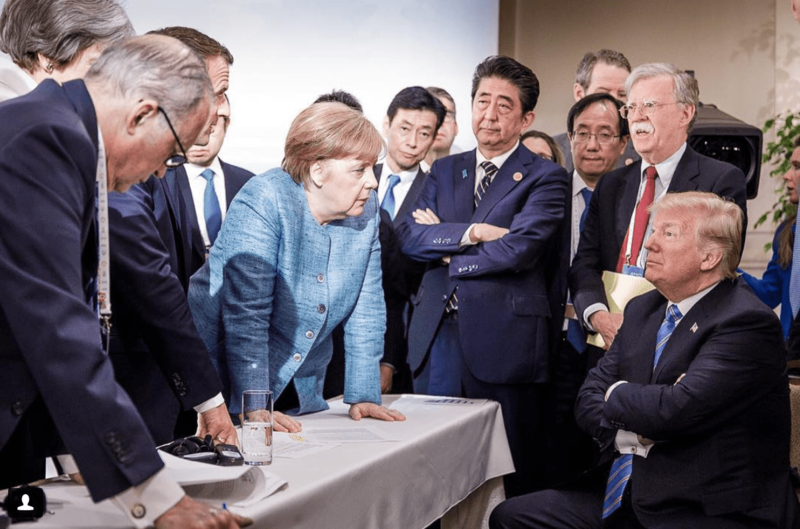 And by backing out of an apparently agreed upon joint G7 communique at the last minute via Twitter and on a plane en route to Singapore President Trump has done just that. But it is probably better that way than trying to paper over a fundamental rift that really can’t be papered over…Because President Trump’s appearance here in Quebec made clear one more time how he feels about America’s closest allies and the post-war international order that Washington was instrumental in building: he could not care less. More than that, he is actively trying to disrupt and undermine it. With or without the encouragement of rightwing scumbags like Bolton, Miller and Navarro, I was confident Trump would back out of anything positive or constructive he pretended to agree to during the day-and-a-half he spent in Charlevoix. 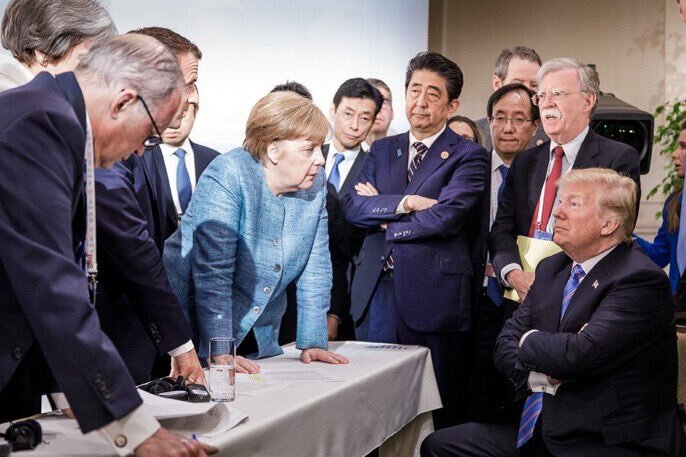 Look at Chancellor Merkel in the photo up top. She looks like she trusts Trump as far as she can throw him uphill into a heavy wind. RTFA for the gruesome – predictable – results.